TAPAS team on fire at AquaBioTech Group ! We have continued our field trials today at Marsaxlokk Bay. This time we have started to use the instrument developed by Water Insight, to examine the water quality surrounding the fish farm. 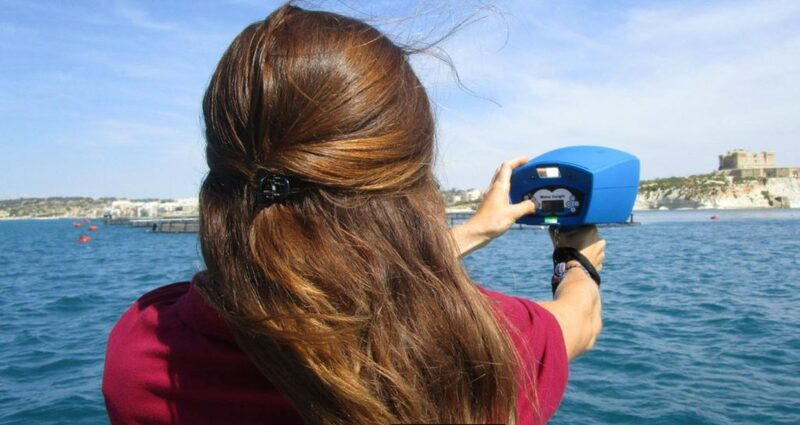 The WISP-3 system is collecting data on the water reflectance at eleven different sampling points. We are analysing the information right now to have better understanding about these parameters in our case study site location.